– Teacher, What should I do to not bother me how people act?. Some talk too much, others are ignorant. Some are indifferent. I feel hatred for those who are liars and suffer with those who slander. – Well, lives like flowers!, warned the teacher. – And how is life like flowers?, asked the disciple. 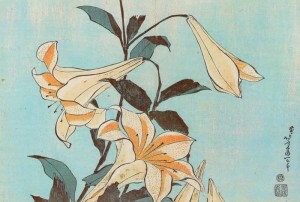 – Pay attention to the flowers' continued the master, pointing to some lilies growing in the garden. They are born in manure, however are pure and perfumed. Extracted from smelly manure everything that is useful to them and healthy, but do not allow the soil sour stain the freshness of its petals. The teacher continued – It's just troubled with its own faults, but it is not wise to let the vices of others inconvenienced you. These defects are theirs and not yours. And if they are not yours, there is no reason to bother… Exercises for, the power to reject all the evil that comes from outside and perfumes the lives of others by doing good. This is live as the flowers.